Jorge Colapinto, LPsych, is an adjunct faculty member at the Ackerman Institute for the Family. He trained as a psychologist at the University of Buenos Aires and as a family therapist at the Philadelphia Child Guidance Clinic. He is licensed as a Marriage and Family Therapist in Pennsylvania and is an approved supervisor of the American Association for Marriage and Family Therapy. A long-time collaborator of Salvador Minuchin, Mr. Colapinto was a member of the training and consulting team gathered in the 1980s to disseminate Minuchin’s pioneering, ecosystemic approach to foster care. Since then, he has divided his professional time between the practice and teaching of family therapy, and the development and implementation of systemic models of service delivery in foster care, prevention and other programs that impact the life of children and families. 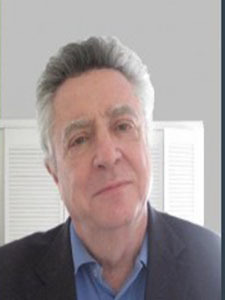 Mr. Colapinto has written and lectured, both nationally and internationally on structural family therapy, training and supervision, and the application of family systems concepts to social services, and is the co-author, with Patricia and Salvador Minuchin, of the book Working with Families of the Poor. He also serves as an advisory editor in the periodicals Family Process, Journal of Marital and Family Therapy, Redes, and Sistemas Familiares.